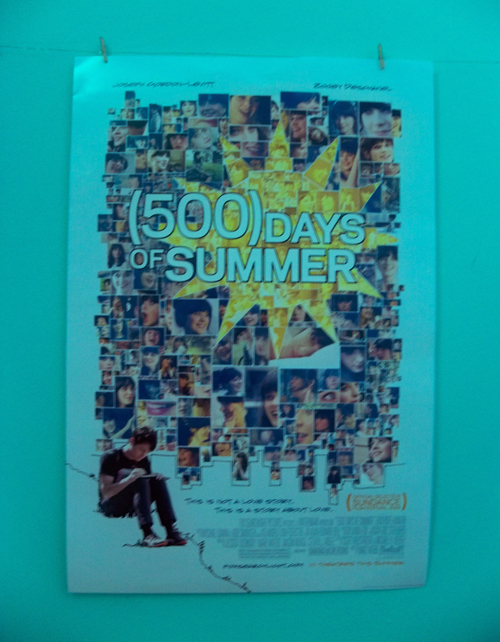 Aaron and I went to see 500 Days of Summer. I loved the filming, the costumes, the music - didn't love the ending but I won't go into that. The funny thing is I was reading an interview with Zooey Deschanel about the movie and after all this time learned that she is the sister of the star of one of my favorite TV shows (Bones) and wearer of most excellent necklaces - Emily Deschanel. Looking at them together, how could I have not realized that?! emily and zooey are my girl crushes ... i love them both, too! oh duh! they totally look alike. i'd thought that before, but had no idea what the girl from bones was named. They aren't strikingly similar until they smile. Love them both. Can't wait to see 500! Oh my god! This is a total "of course" moment! Of course they're sisters! I want to know why you didn't like the ending...but I don't want to ruin it for anyone!